If you upgrade to Windows 10 or install a new insider test build? 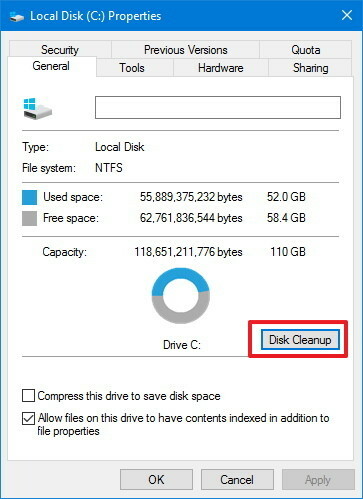 Then use this step by step guide to get rid of the Windows.old folder that is only wasting gigabytes of space in your PC's hard drive. 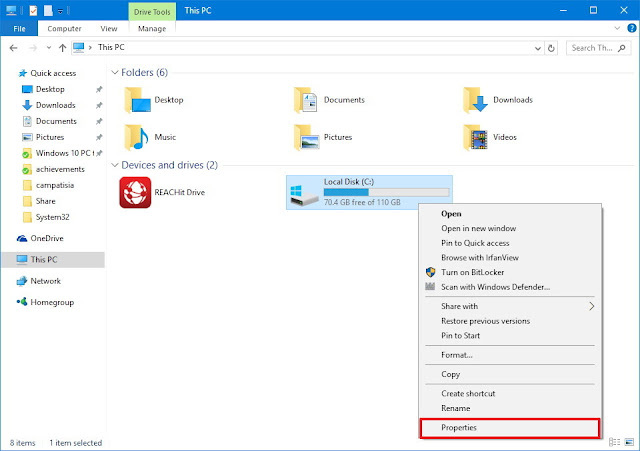 Every time you upgrade your PC from an older version of Windows to Windows 10 without first formatting the hard drive, or when you install a new Windows Insider Preview test build, the install wizard will save a copy of the previous version inside of the "Windows.old" folder on your computer. This copy is a safeguard mechanism in case something goes wrong during the installation process. If something bad happens, the operating system can use the backup copy to roll back any change automatically. Or in the case of Windows 10, you also get the option to go back to your previous version of the operating system within the first month if you don't like it. If everything is working as expected after upgrading to Windows 10, you probably don't need these files, as they will just be wasting precious hard drive space. The Windows.old folder resides in the hard drive where the operating system is currently installed (typically the C: drive). 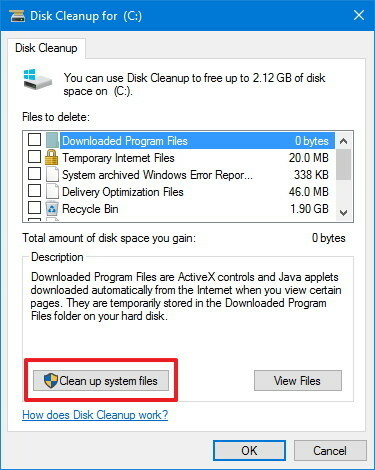 However, you can't just hit the delete key and to make it disappear, you need to use the Disk Cleanup tool. From the left pane, click This PC. 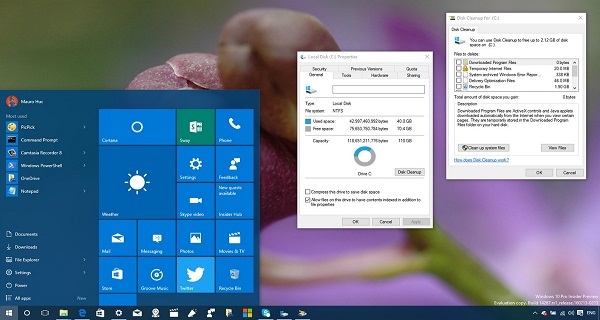 Under Devices and drives, right-click the drive with the Windows 10 installation, and click Properties. Click the Clean up system button. Select the Previous Windows Installation(s) option to delete the Windows.old folder. Here you can also choose to delete other installation related files, including Windows upgrade log files and Temporary Windows installation files, which can take up several gigabytes of storage as well. Click Delete Files on the pop-up dialog to confirm the deletion. On the Disk Cleanup warning click Yes to complete the process. 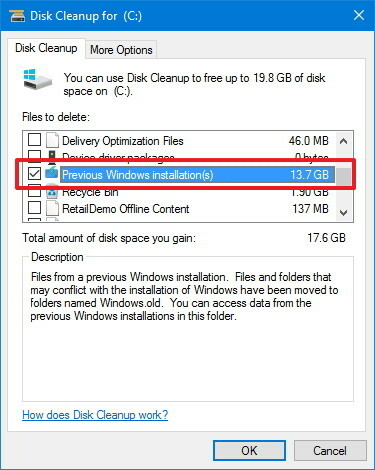 While saving a previous installation is a useful method to rollback in case of problems, if the installation completes successfully, the Windows.old folder and other related installation files will just waste valuable storage space on your computer. Even more on mobile devices with limited storage, such as particular models of Surface and low-end PCs. Keep in mind that it's safe to delete the Windows.old folder and related files from your computer. However, you should also consider that after removing these files, you will no longer be able to roll back to the previous version of Windows 10 using the recovery options. After deleting the Windows.old folder, the only way to go back is by performing a clean installation of the operating system.